When the evil witch queen Mother Malkin (Julianne Moore) breaks free from her prison, she is ready to unleash her wrath on all mortal people. She hopes to use the upcoming blood moon to amplify her powers and to use it to allow creatures of the dark to take rule of the land. Master Geoffrey (Jeff Bridges) is part of an order of knights known as Spooks, who combat dark forces. When Malkin kills his apprentice, he must seek out a new one. In order to be a Spook, you must be the 7th son of a 7th son, and Tom Ward (Ben Barnes) fits that bill and it is his destiny to join the knighthood. He now has a short time to learn the skills of a Spook so they can kill Malkin before the coming of the blood moon. With such a talented cast and a push-back date of well over a year, you'd think filmmakers, much like with "Jupiter Ascending," would have done everything they could have to fix this flop of a movie. BigJ and I have pretty similar tastes when it comes to the movies we watch and review. Usually, if anything, we are half of a point off from one another's ratings. 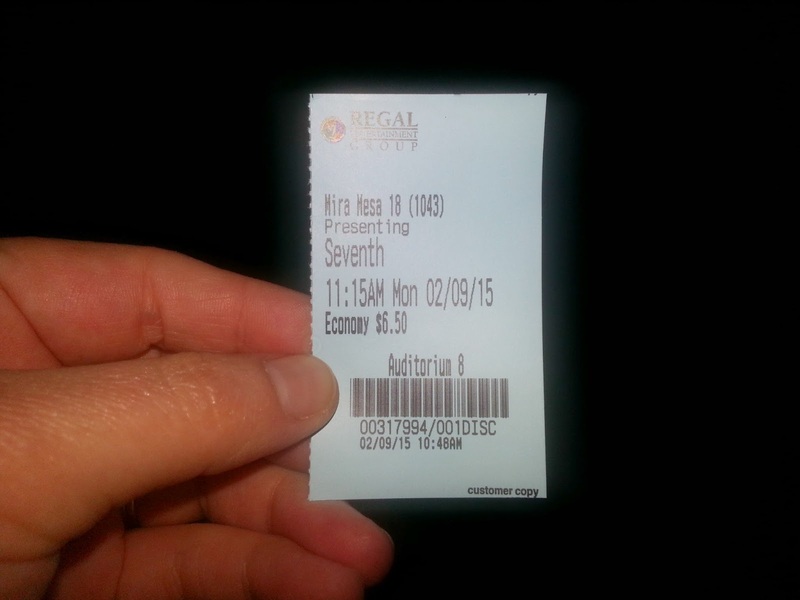 "Seventh Son" sees one of the bigger differences in our opinions since starting this blog, if you can call 1.5 points between us a big difference. We can both admit that this movie wasn't as big of a disaster as we thought it was going to be, but unlike BigJ, I couldn't get out of the theater fast enough once this movie was over. BigJ didn't dislike it as much as I did as he saw the CGI and some of the action sequences redeeming and pretty cool. While I will admit some of the set designs were neat looking and though the graphics and animation were not as frenetic and in your face as the ones from "Jupiter Ascending," some of them seem poorly executed and overly-CGI. Nothing in this movie looks or feels real, and it was obvious that it is 100% done by computers. On top of this, the story itself is one I couldn't care less about, even with a back story. There are a ton of goofy character names and plot points, rambling and flat-falling jokes, as well as uninteresting, not at all captivating material, and to me, this movie is one I will have have already forgotten in a week's time. The biggest problem with this film, unfortunately, is Jeff Bridges. We love the Dude, but why the hell he feels this strange need to talk like his mouth if stuffed full of marbles lately is beyond us. He has been using this technique in his speech in his last few movies. This voice presents itself a little bit in both "Crazy Heart" and "True Grit," but since he has a southern twang in those films, we didn't pay it any mind. 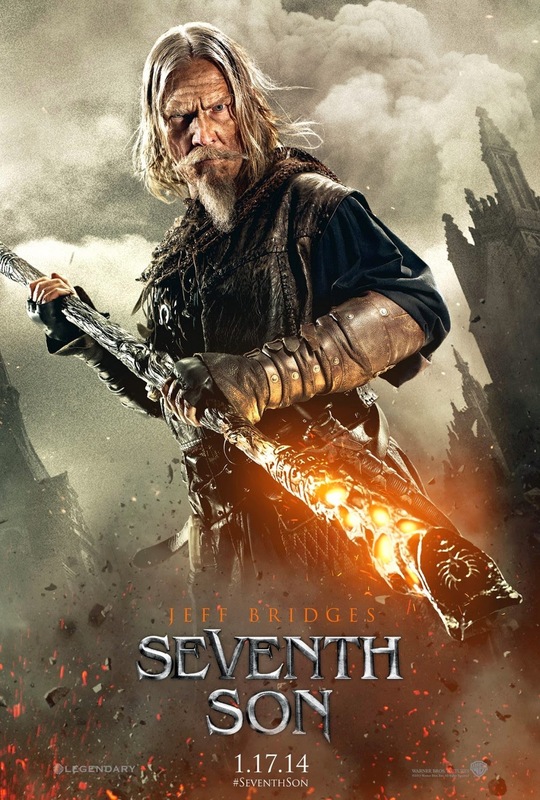 Then came "R.I.P.D.," which is the one thing that single-handedly caused "Seventh Son" to be pushed back because filmmakers didn't want to get the P.D. 's B.O. stink on it. Well, that, and because of the need for better special effects and other studio changes, but we like to think it was mainly because of the stink of "R.I.P.D." Let us dream! Moving on. Next was "The Giver," and Bridges' voice was just as marbled in that film as it is here. On top of this, in order to make his voice sound the way it sounds, Bridges spends the entire movie making goofy faces which are necessary to make the voice. It's not only distracting, but it's wholly unnecessary, too, especially when considering he breaks this accent half of the movie! In our opinion, his last few characters would be better served and portrayed in his normal voice. While we're on the subject of people in this movie, Julianne Moore re-teams with Bridges for the first time since "The Big Lebowski," and what we were hoping would be an epic reunion only left Moore felt sorely out of place in my opinion. It's always so odd to see Oscar nominees and potential winners go from such dramatic, powerful roles like her latest acting triumph in "Still Alice" to something as cheesy and dorky as this movie. Some critics have said that she is this movie's saving grace, but I do not believe this to be true. Again, BigJ was not bothered by this, but everything she said in this film felt forced and campy, and not in a good way. Hopefully we will see them paired up again soon in "The Big Lebowski 2: The Lebowskiing." We have to admit, while we didn't love this movie, it was not the huge disaster we assumed it would be, if only judging from every other critic's thoughts on the film. Sure, they cast was sort of wasted and sure, Marble Mouth McGee, uhhh, we mean Jeff Bridges, does his weird Marble Mouth McGee thing again, and sure, there was some CGI I didn't care for, and sure, the pacing was dreadful, but it's not "The Boy Next Door" bad. Hell, it's not even "Jupiter Ascending" bad. What we are left with after all this is a rather middle of the road fantasy film that lacks development, but does manage to put on some entertaining moments on screen. It doesn't have a story or mythology that's really going to grip the audience and pull them in, but the action scenes can be fun and we did chuckle once or twice, but it is also a movie we won't ever want to watch again.